As an artist on the go, there are lots of times when you need to show your portfolio but don’t have access to the internet. We’ve seen it happen far too many times at conferences or events where artists want to show their portfolio but having low connection gets in the way. Say goodbye to those days! 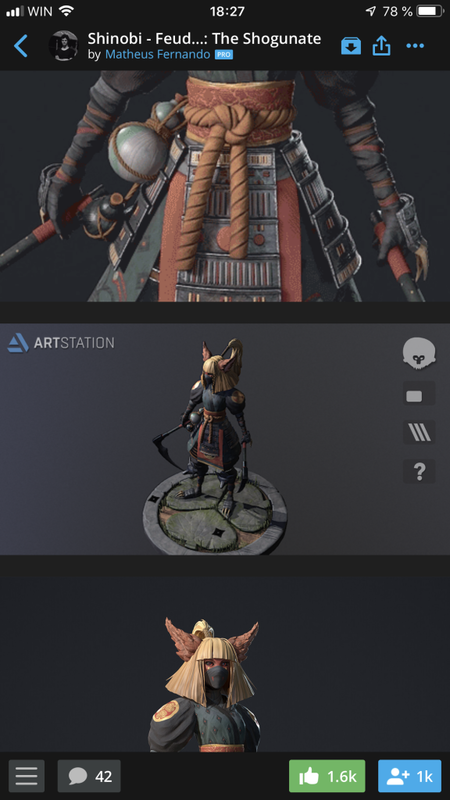 The newest mobile update of the ArtStation App will automatically sync your ArtStation Portfolio and About offline so that you can access it at any time. With your portfolio stored and synched to your phone, you can flip through seamlessly without lag. Showcase your scene or model easily without having to wait for it to load first. 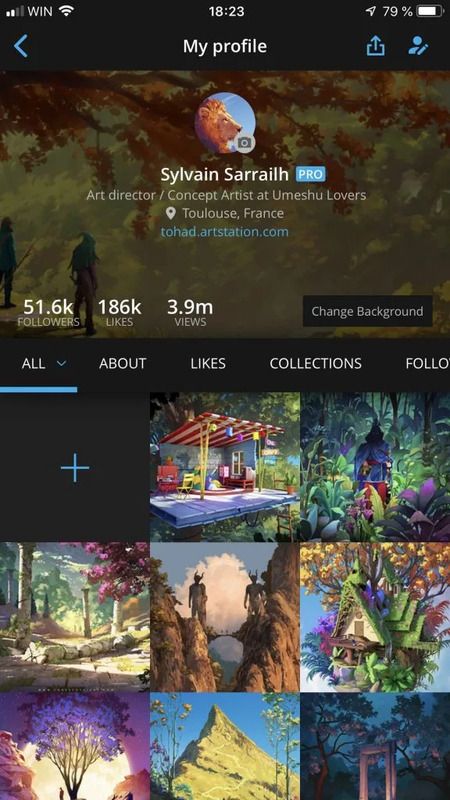 Not only will your offline portfolio be able to show your artwork images, it’ll also be able to support 360 panoramas, GIFs and Marmoset Viewer as well. While we optimized settings so that it would take up as little storage as possible, downloading your entire portfolio could take up some space on your mobile device. If this is a feature you don’t think you’ll need, you can just turn off portfolio synch in settings or choose to erase the stored data later on to free up space. Download the ArtStation for your Apple or Android device. Will I be able to watch embedded videos on my artwork page? Embedded videos or any externally hosted assets will require internet connection to work. 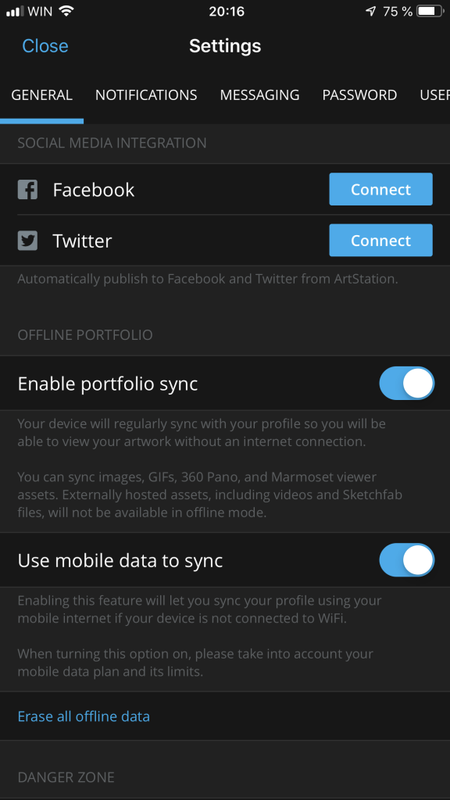 What if I want to sync my portfolio using my device’s data and not Wifi? You can do this by enabling “Use mobile data to sync” on the General Settings page. Please take into account your mobile data plan in its limits before you turn this option on. Do I have to re-sync my portfolio every time I add a new project? 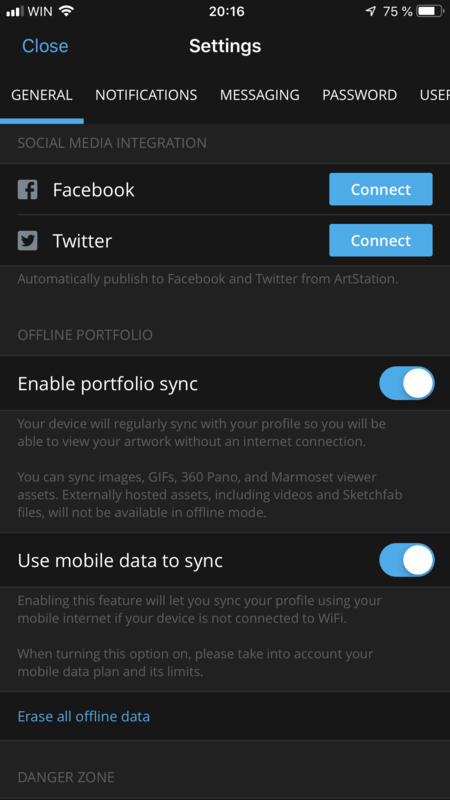 This will be done automatically for you by default when you are connected to wifi as long as portfolio sync is enabled in your settings. Will my likes/collections/followers be synched too? You’ll be able to access all the important stuff you’ll want to show: your portfolio home page, all the artwork pages and the About page. In the interest of being efficient with phone storage, we’ll keep all your other profile tabs online only.